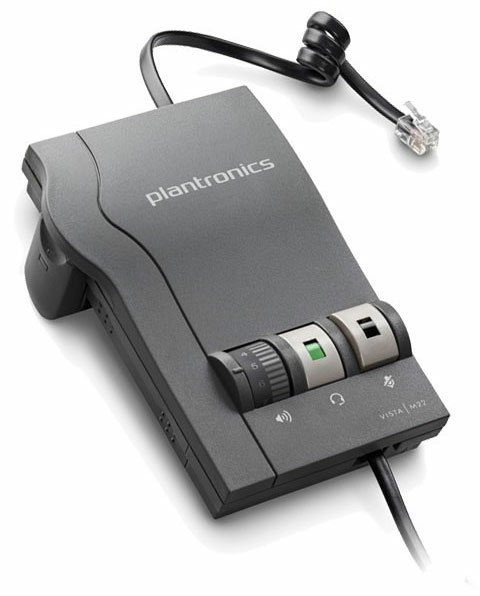 The Plantronics Vista M22 is designed for telephone professionals using either traditional or new wideband VoIP phone system. The Vista M22 audio processor delivers precise levels of listening comfort, sophisticated hearing protection, and superior audio performance. 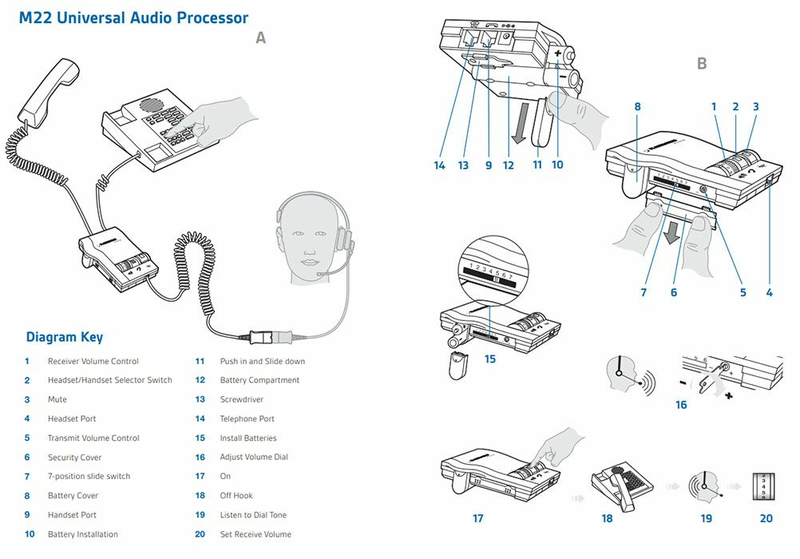 It is compatible with most office phones and offers Clearline audio technology to enhance speech clarity.